Imagining that instruments are all around us can be a cumbersome thought. It takes talent to play a bass or snare drum, but making trash cans sound like a percussion ensemble? 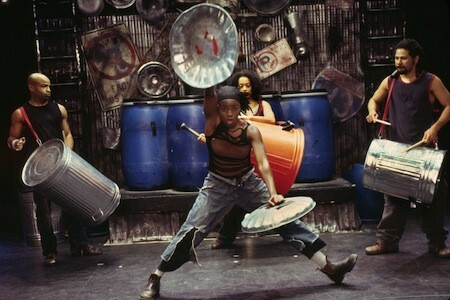 That's where Stomp comes in. The two-decades-strong Broadway hit is comprised of an eight-member troupe that uses unexpected objects - matchboxes, brooms and oil drums, to name a few - to construct nearly two hours of orderly and exciting (and sometimes a little chaotic) rhythm-making. Folks with children should watch out; you don't want them getting any ideas about your plates and utensils. $20 and up. April 7, 2 & 8 p.m.; April 8, 1:30 & 7 p.m. Belk Theater, 130 N. Tryon St. 704-372-1000. www.blumenthalarts.org.